Dubai, UAE 15 April 2018 – Shangri-La Hotels and Resorts, the Hong Kong-based luxury hotel operator, revealed comprehensive details about its new family-focused features across multiple destinations. 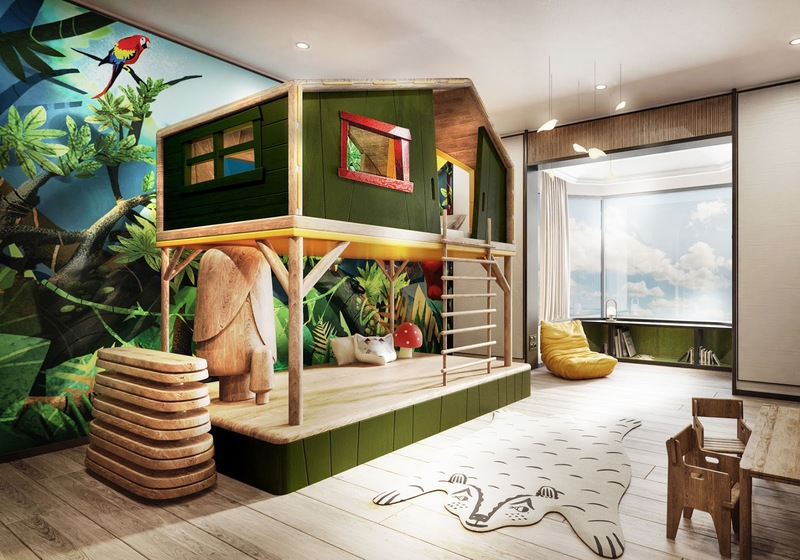 Leading the way is the Shangri-La Hotel, Singapore, which launched its child-friendly services with Buds by Shangri-La, a 2,150-square-meter indoor and outdoor play space devoted to children between the ages of one and 12 years. The interactive play space is designed to encourage fun and family time as well as learning through play. Themed activity spaces have been created for budding artists, performers and chefs, plus there is a party room for celebrations. For peace of mind, each child wears a radio-frequency enabled wristband so parents can monitor the child’s location. As part Shangri-La Hotel, Singapore’s recent Tower Wing renovation, the hotel created 19 new deluxe family rooms and five themed family suites each accommodating two adults and two children under 12 years. The suites and rooms measure 76 and 38 square meters, respectively, and are located on a dedicated family floor. Suites offer dream-themed beds, including a castle and space craft. In addition, the hotel offers a wide range of childcare amenities including car seats, strollers, travel cots and even bath time toys so families can travel lighter. just 15 minutes from central Singapore on Sentosa Island – a comprehensive recreational programme with an array of activities, awaits junior guests at the kids’ club. Catering for children between five and 12, the kids’ club features a three-story treehouse with a slide from top to bottom. On the first level, there are books, a stage for fun musical performances, and an arts and craft room. Kids also have their own ‘zone’ in the Seashell restaurant, which features a child-friendly buffet counter scaled down for kids. For infants there’s a dedicated babies zone providing complimentary baby food, milk bottle sterilisers, baby utensils, baby wipes and all the essentials. 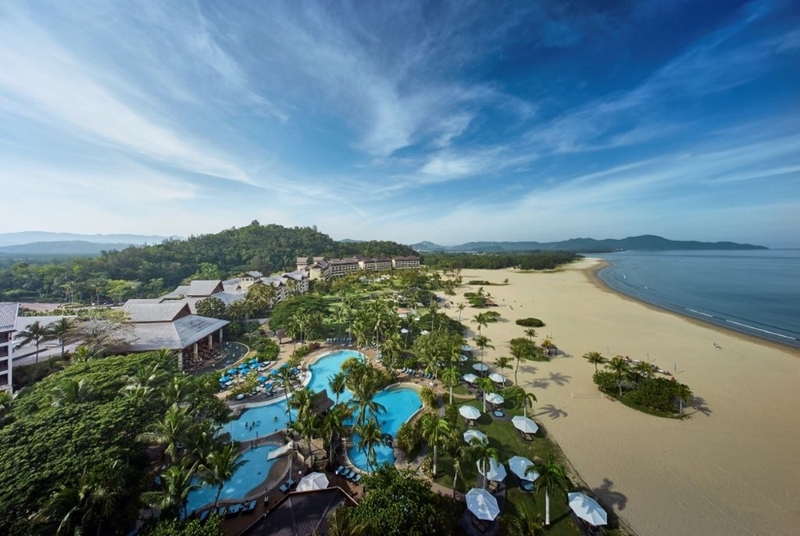 In Malaysian Borneo, Shangri-La’s Rasa Ria Resort and Spa will launch new immersive guest experiences this July in its nature reserve. The innovative recreational offerings will enhance the reserve’s conservation education programme, as well as introduce a range of cultural and adventure experiences perfect for children and young adults. famous huge-eyed slow loris, plus over 60 species of birds, 100 species of butterflies, pangolins and a wide spectrum of native plants. Guests will be able to choose from a variety of adventures at a dedicated Discovery Centre, which is constructed with environmentally sustainable materials and designed to capture the essence of the rainforest. The Discovery Centre will be the gateway to the reserve’s unique trail system that covers eight kilometres of walks through the tropical jungle. Six trails will showcase different aspects of the jungle, with walks showcasing entomology, herbs, nature, wildlife and the tropical canopy providing hours of exploration, learning and fun. For younger visitors, the handcrafted Rasa Ria playground will be the ultimate playground with a 10 meter snake tunnel slide, obstacle course with aerial net tunnels, a tree house with swing and a 30 meter junior zipline with two zips for competitions. In the Philippines, Cebu is home to Shangri-La’s Mactan Resort and Spa, which embraces a culture of family fun where kids definitely come first. The hotel has a three-storey indoor playground with outdoor children’s swimming pool and dedicated toddler and E-Zones. Shangri-La Hotel, at The Shard, London is offering the families an opportunity to discover London’s greatest landmarks while staying at the tallest hotel in western-Europe. It’s Explore London package includes day passes with 'Fast Track' entry to the city’s exciting attractions. Shangri-La Hotels and Resorts is exhibiting at Arabian Travel Market 2018 on stand HC0820. Hong Kong-based Shangri-La Hotels and Resorts, one of the world’s premier hotel owners and operators, currently manages over 100 hotels in 22 countries and 76 destinations under the Shangri-La, Kerry, Hotel Jen and Traders brands. Prominently positioned in Asia, the group has established its hallmark of “hospitality from the heart” over four decades in Asia Pacific, the Middle East, Europe, North America and the Indian Ocean. The group has a substantial development pipeline with upcoming projects in Australia, mainland China, Cambodia, Indonesia, Malaysia and Saudi Arabia. For more information, please visit www.shangri-la.com.